I first met Hope, Joe and their sweet daughter Ivy the Christmas before their wedding at home for a family portrait session. 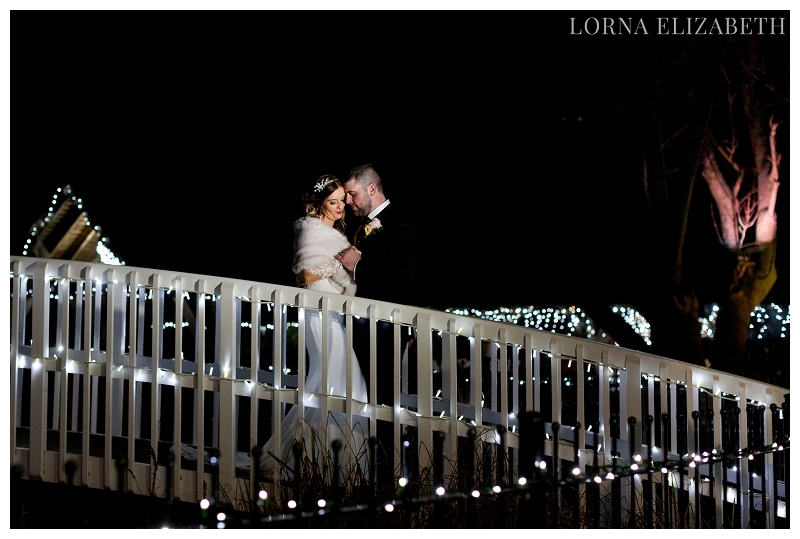 I was so excited by the idea of a New Years Eve Wedding at Winters Barns for the following year. 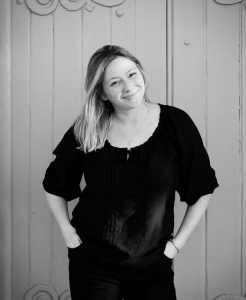 Hope’s love of all things Christmas(!) 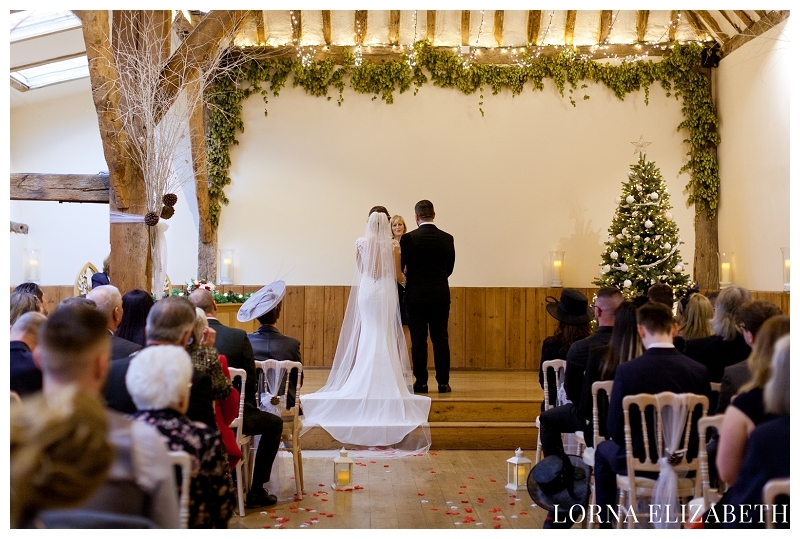 and the beautiful space at Winters Barns which reminded me of their own home, styled with strong natural woods and inviting spaces, I could just tell this would be wedding full of fun and beauty! 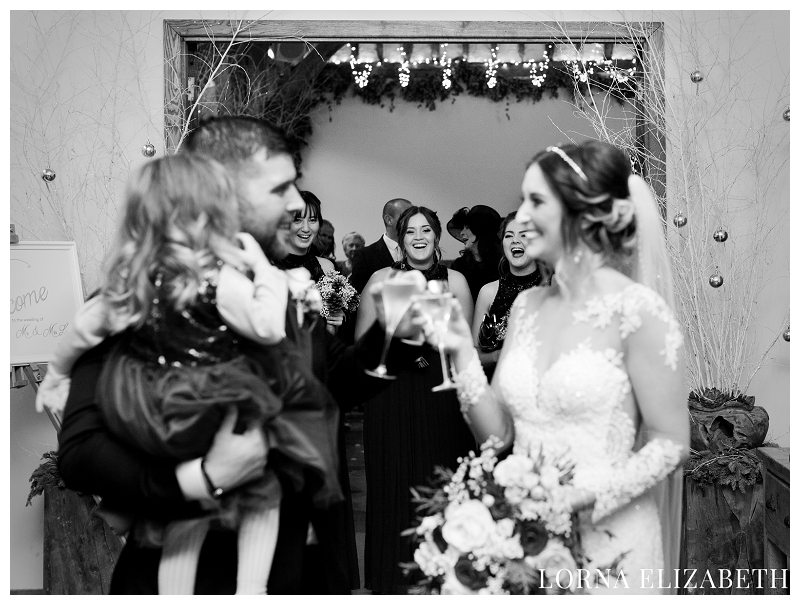 It was indeed a most magical and special day that I will always remember, the kindest of people and a most wonderful family. 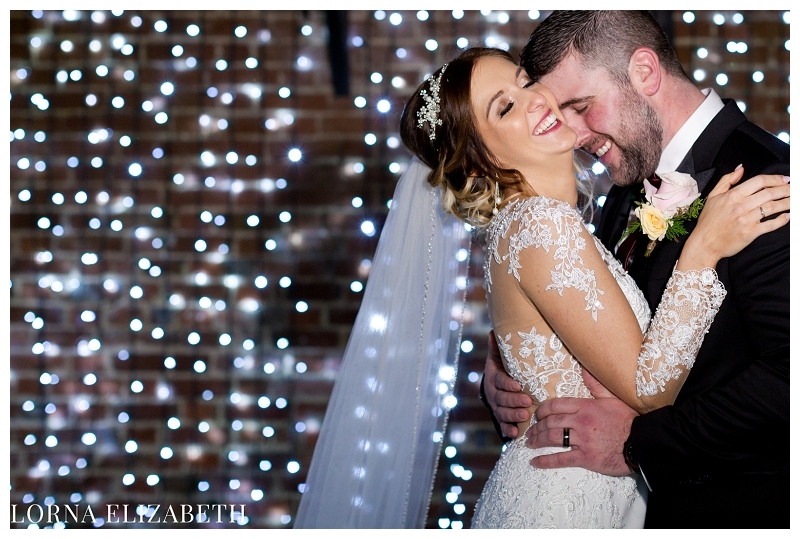 Hope was also a dream bride to photograph, the most incredible dress and the boldest and happiest of smiles to accompany it. 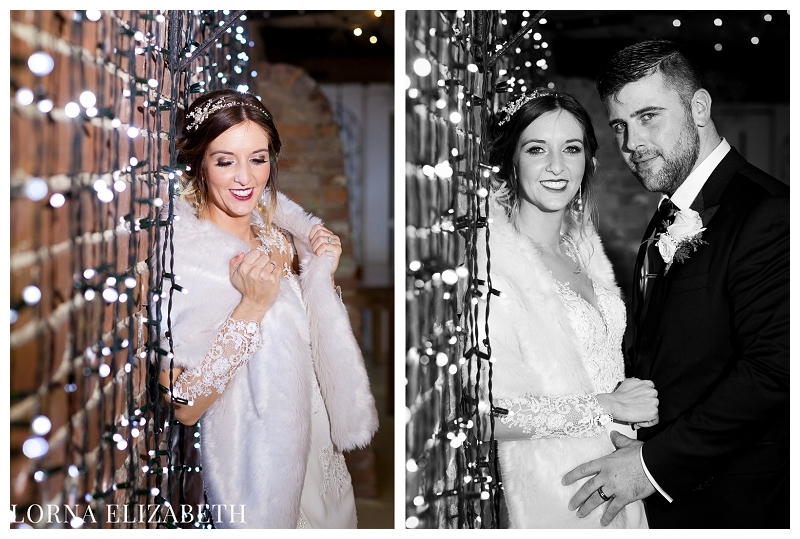 Winters Barns is one of my favourite venues for being able to feel just perfect in winter (particularly beautiful with all of the Christmas decorations!) 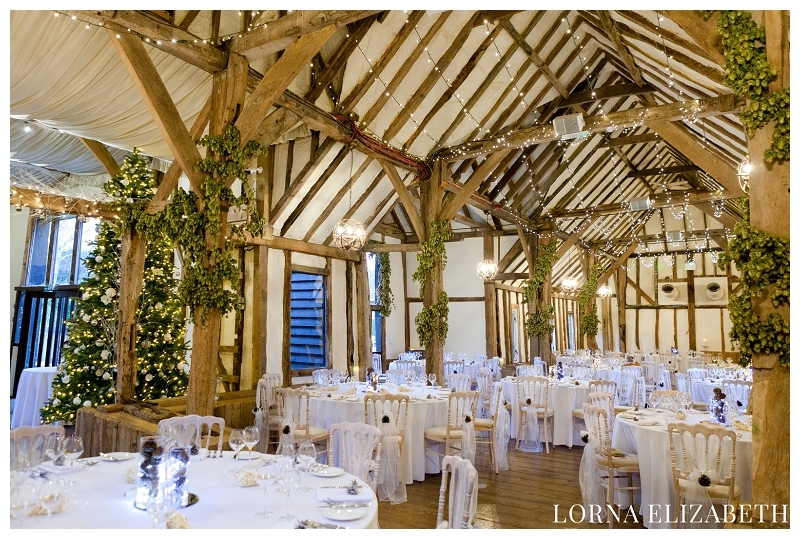 and like a perfect summer venue too. 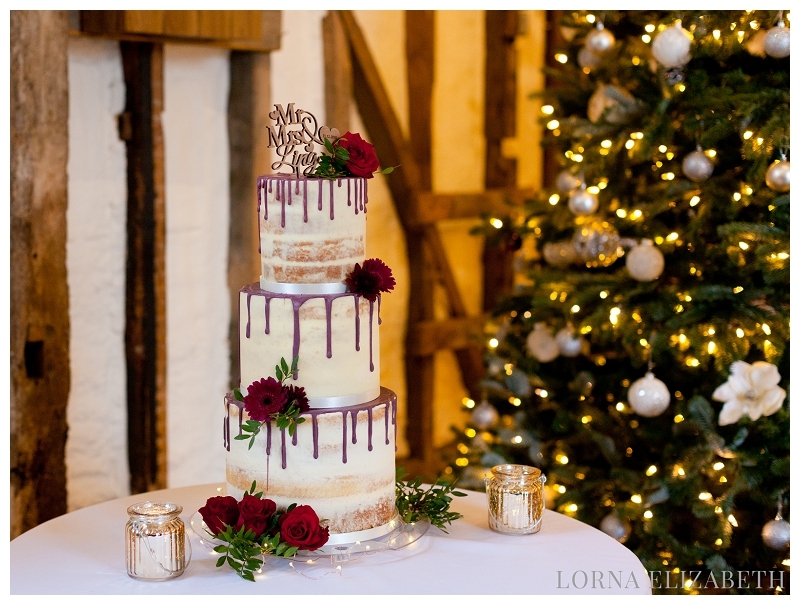 The details that Hope had chosen complimented the venue so prettily and this amazing cake had been made by a very talented family member Kelly. 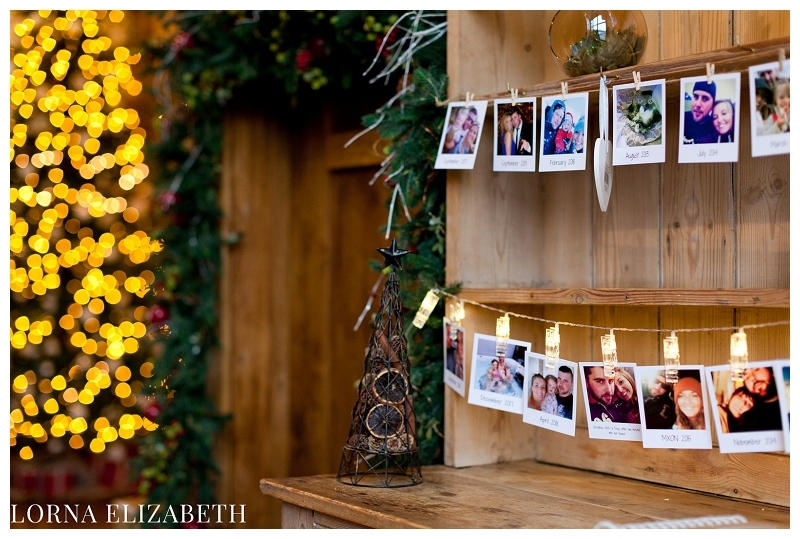 With Hope & Joe’s love of photographs and capturing special moments it seemed very fitting to have styled the entrance to the venue with strings of pictures which all of the guests enjoyed so much. 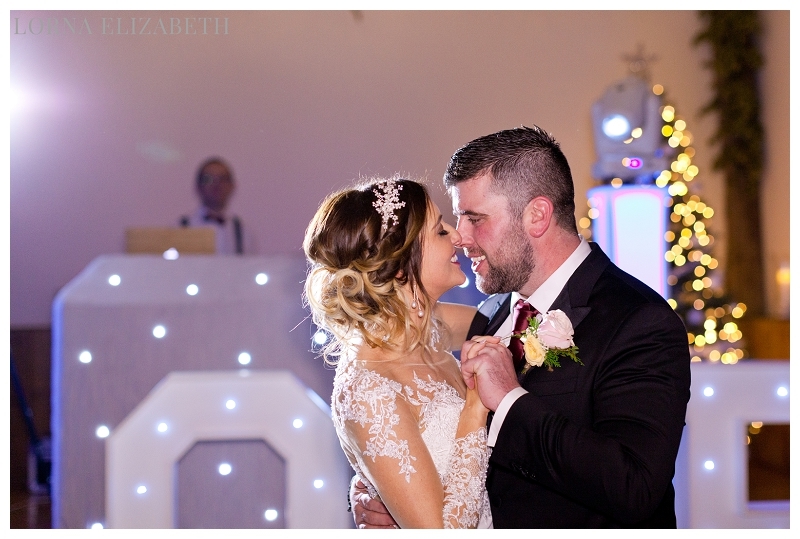 Hope’s gorgeous dress was from My Dress Designer, perfect make up by With Love Lauren Elle and fabulous hair by Kent Wedding Hair by Karlie. 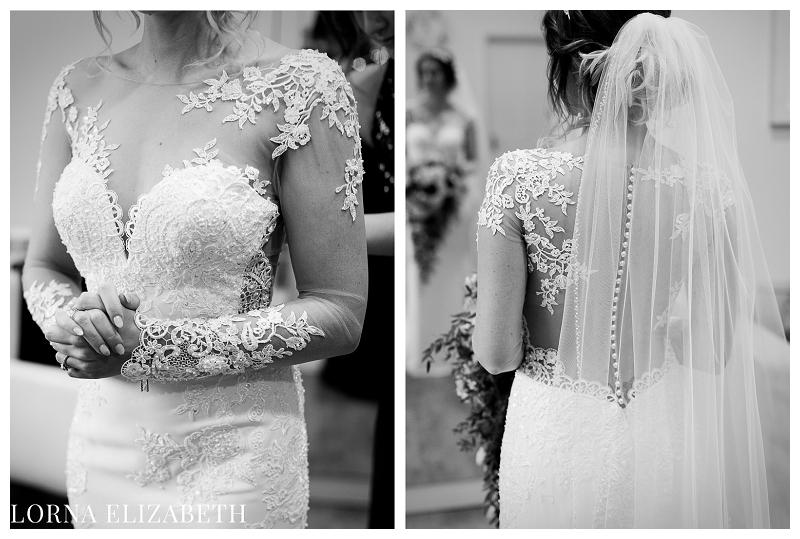 Loved the detail on this dress! 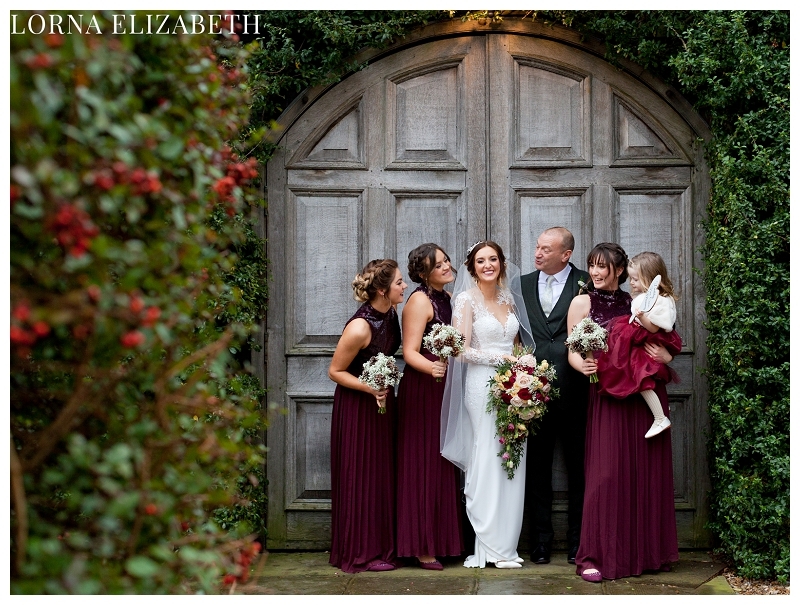 The beautiful deep burgundy and red of the bridesmaid dresses fitted so perfectly with the Christmas season but also the very pretty grounds at Winters Barns wedding venue. 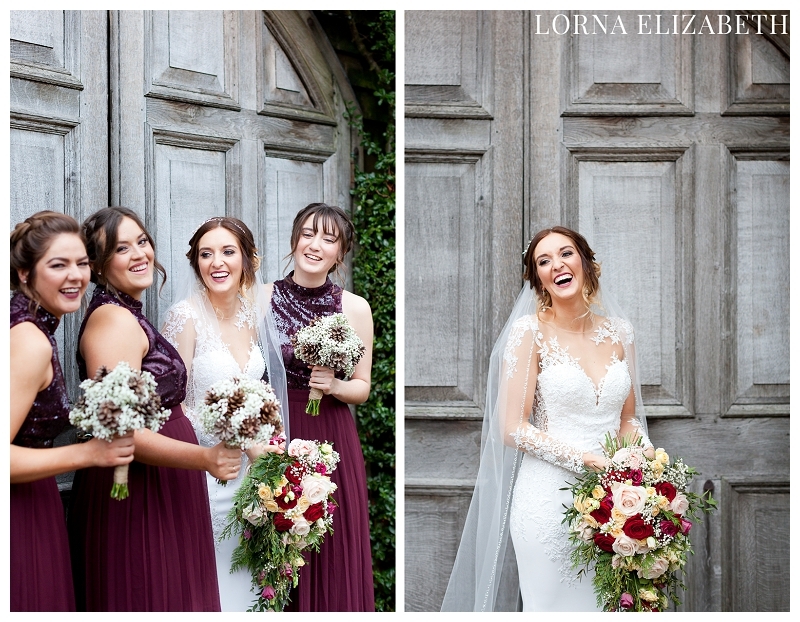 Bridesmaid dresses from Little Mistress. 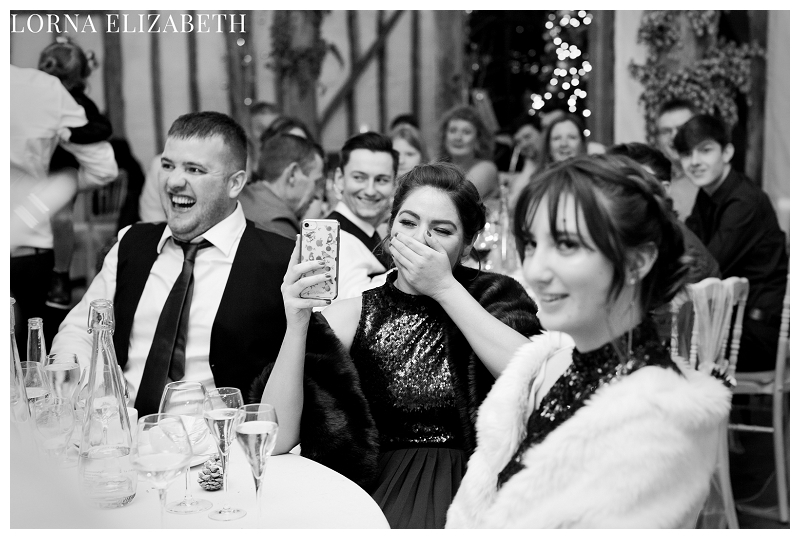 One very happy and excited Bridal Party here! 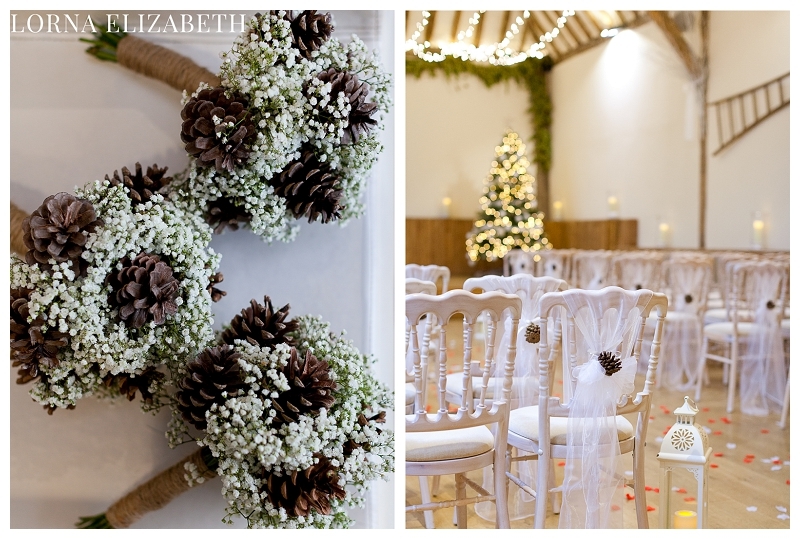 Venue Christmas styling was the work of talented flowerart and venue chair covers and styling by Pretty Things Wedding Covers. 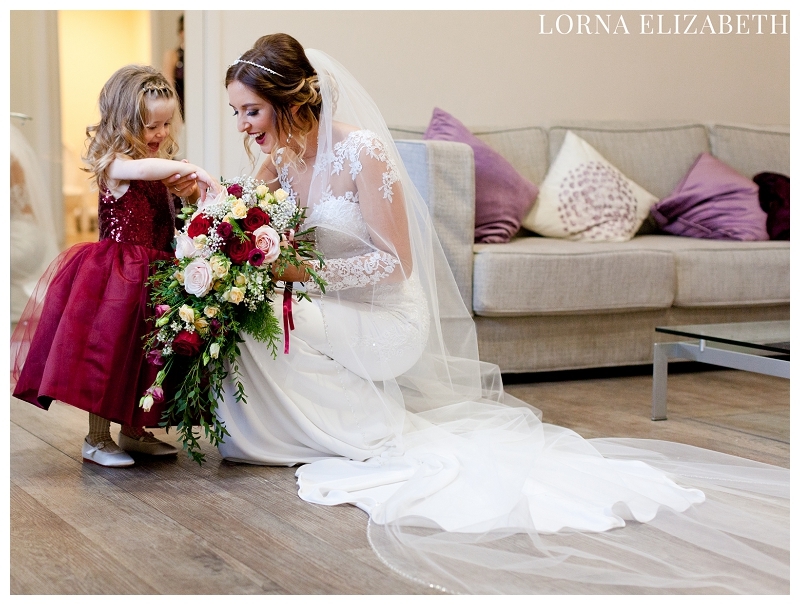 I thought it was a very nice touch to have the acorns in the bridesmaid flowers also woven into the chair covers, everything just flowed together perfectly! 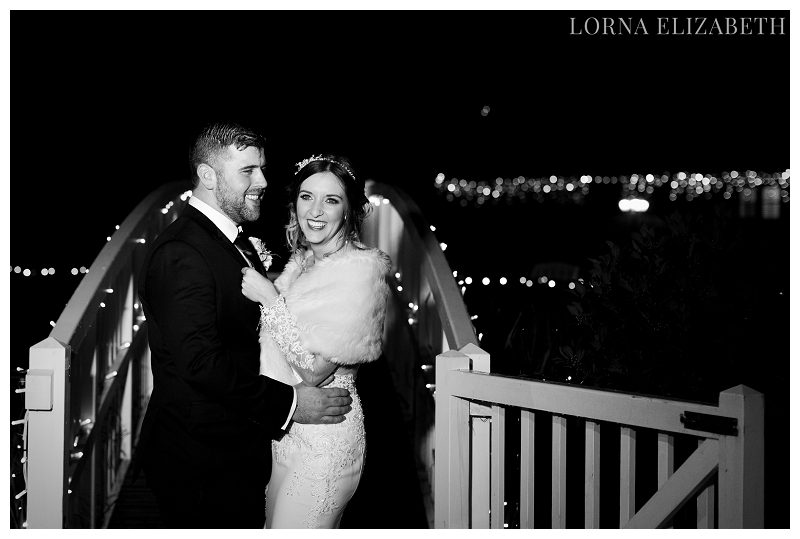 And I literally have dozens of favourite black and white images from this beautiful wedding(!) 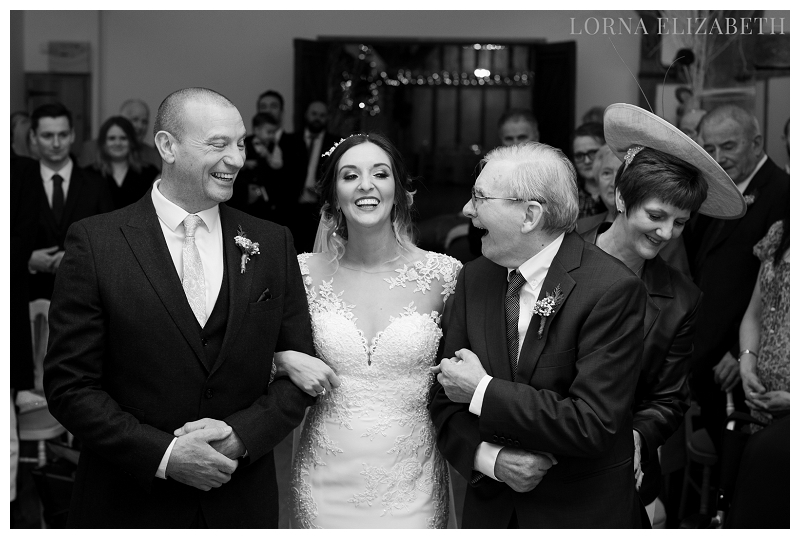 but really loved this picture of Hope with her dad and grandad walking her down the aisle. 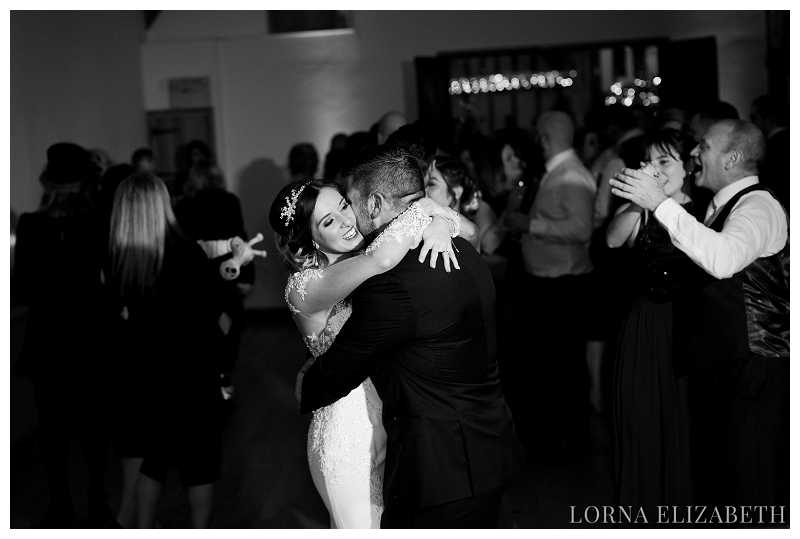 And one very happy groom too! It’s official!! 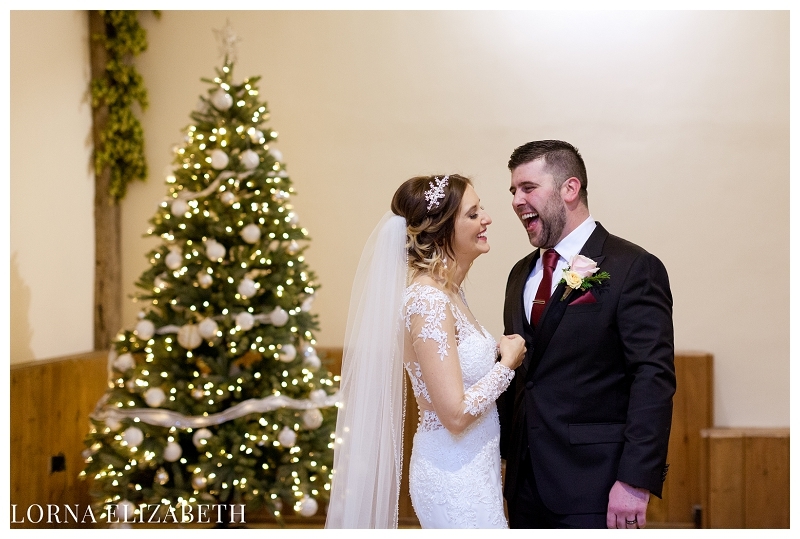 Loved how happy it made everyone for this moment to come true… And a few portraits! 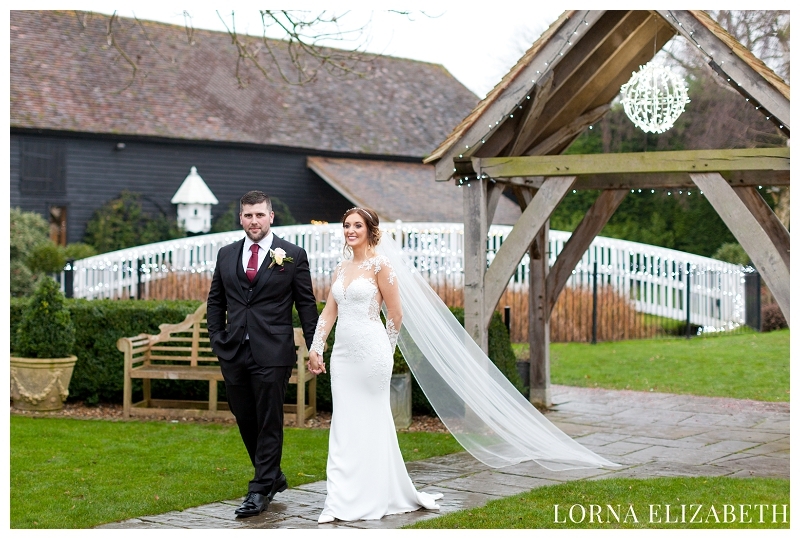 The grounds at Winters Barns are perfect for wedding pictures with lots of lovely locations if the weather is a little rainy too. 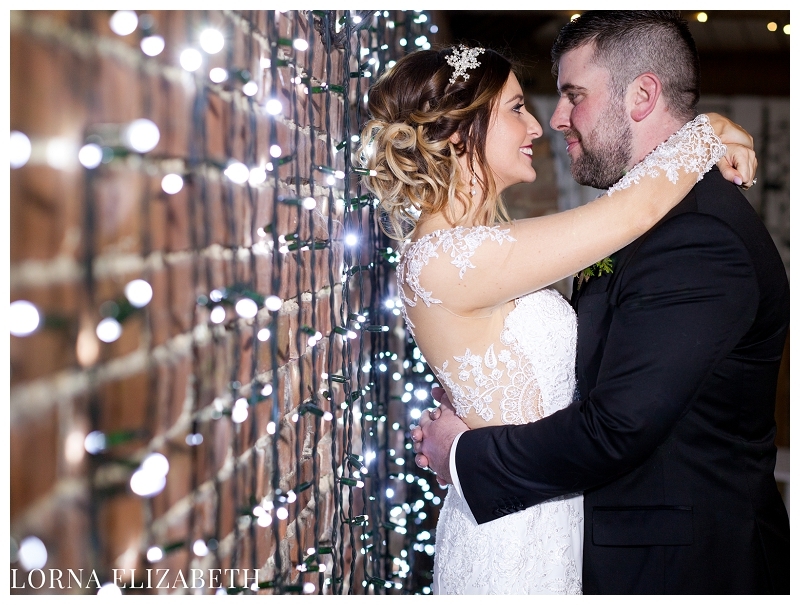 The most amount of fairy lights I have ever seen! 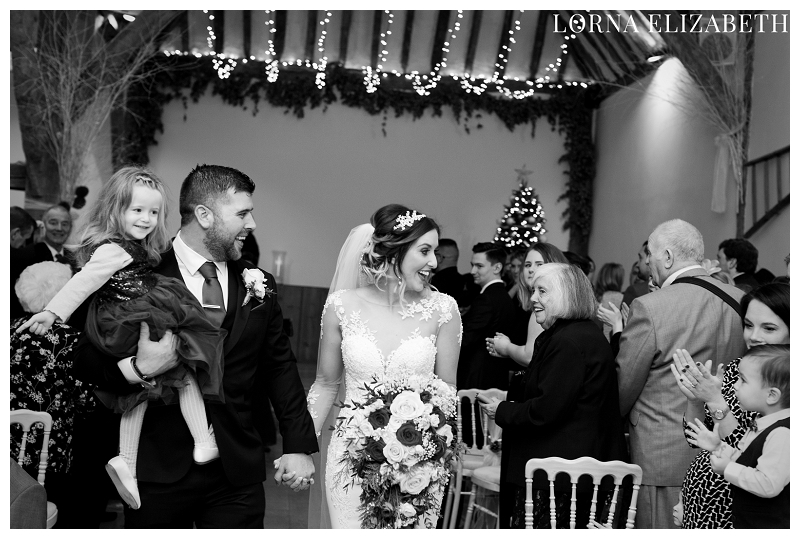 Winters Barns Wedding Breakfasts are always amazing. 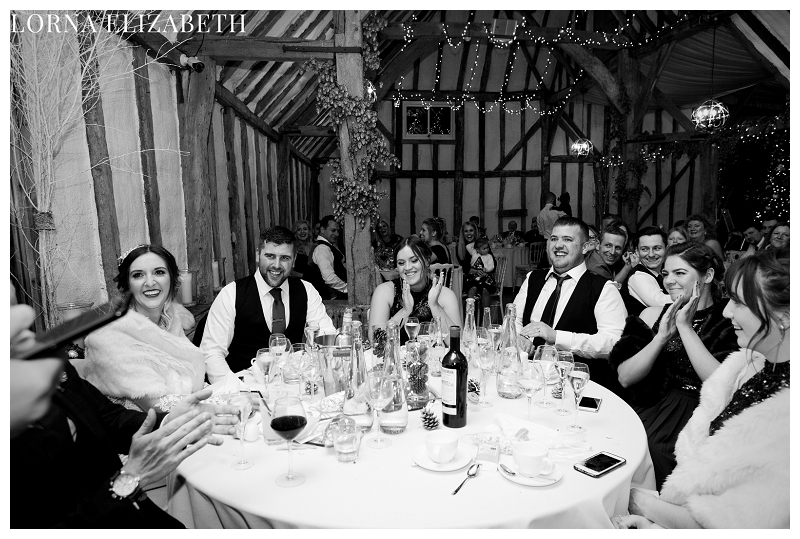 The reception and Barn looked phenomenal and the catering is always provided by the hugely talented team at Scott Anderson Catering. 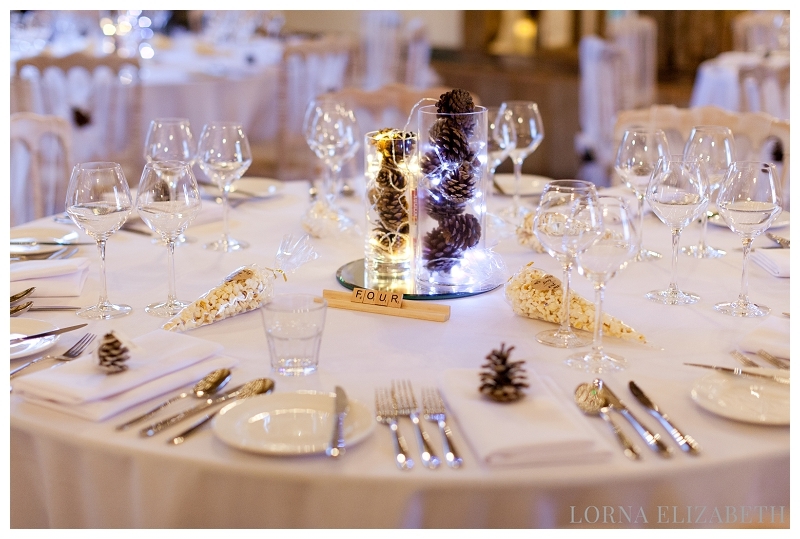 Don’t you just want to sit at this table?! So inviting 🙂 Best man speech was also a blast!! 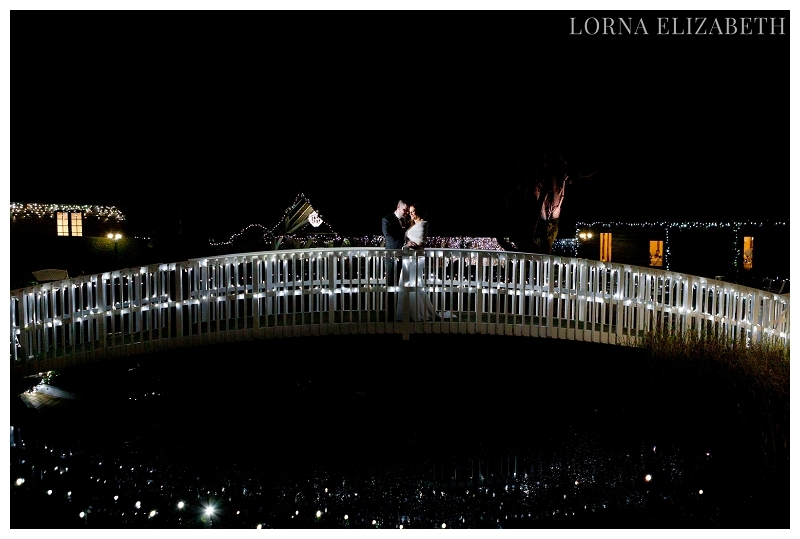 As the evening drew in we took the opportunity to take a few more pretty night wedding pictures by the bridge location in the grounds. And then time to get the party started! !